Join us for a fun and inspiring evening of sacred chant! This Kirtan event will present original and highly accessible chants, connection with self/others/Divine, and a beautiful community. Kirtan will open your heart, calm your mind, and free your soul! Kirtan (call and response sacred chanting) is fun and easy. No prior experience is required. You will love opening your heart with Mike Cohen & the Shakti Groove, featuring soulful vocalist Dawnia Dresser, funky drummer Ken Matarazzo and virtuoso cellist James Hoskins. WHEN: Saturday, December 8 from 7:30-10pm. Doors at 7pm. TICKETS: $20 in advance, $25 day of event. Register online here. Mike Cohen , MA is founder of Kirtan Leader Institute. Since 2010 he has trained and apprenticed hundreds of aspiring and emerging Kirtan Leaders across the globe from total beginners to many he has guided to create/release Kirtan albums, play at festivals and tour nationally. A life-long musician with 16 years experience developing leaders, Mike created a proven methodology for training and apprenticing Kirtan Leaders based around five relevant domains for leading Kirtan: Musicianship, Leadership, Community Building, Entrepreneurship and Spirituality. Work within these 5 domains helps Kirtan Leaders build skill and confidence in serving others through the ancient/modern practice of sacred chant in the modern West. Mike has released three critically acclaimed albums, and in 2018 will release new music created with Grammy Award nominated producer Ben Leinbach (Jai Uttal, Krishna Das, Deva Premal). For over a decade, Mike has toured North America, offering accessible and potent Kirtan events in yoga studios, healing centers and at yoga/chant festivals. Mike lives in Boulder, CO where he spends 100% of his time sharing Kirtan and training Kirtan Leaders through his Kirtan Leader Institute. 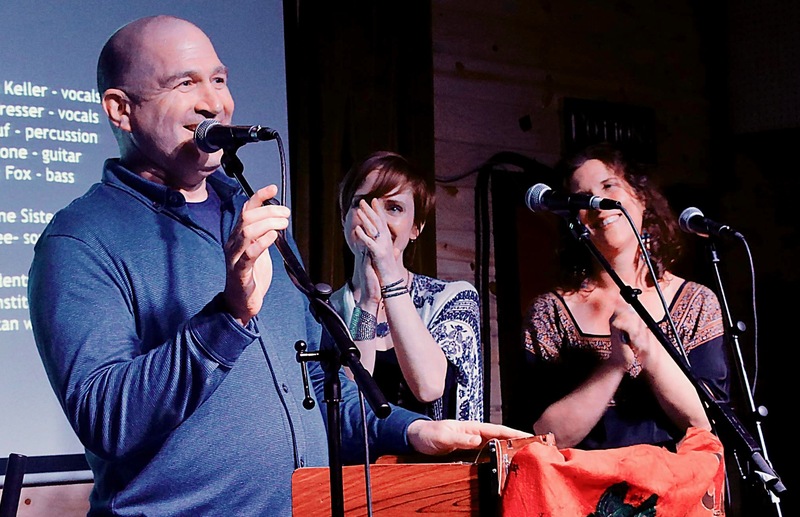 Learn more about Mike and his Kirtan Leader Institute at: www.MikeCohenKirtan.com.